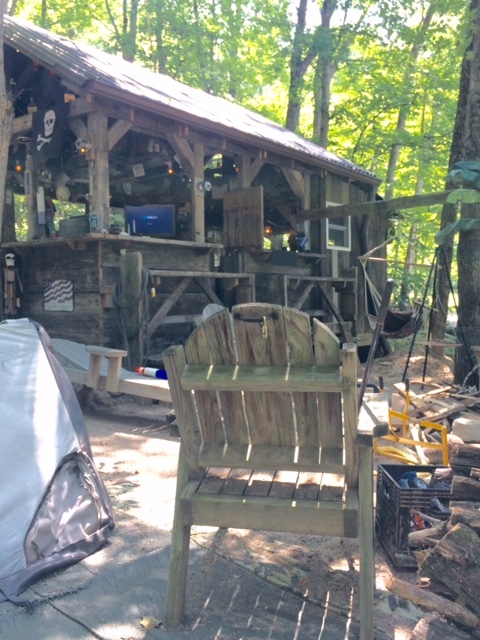 On Sunday, we spent a glorious, lazy summer day with our friend Mark at his tiki bar, The Sunset Grill, on the shore of a lovely little lake in Brown County, Indiana. The tiki bar is dedicated to a sense of escape from the ordinary and humdrum into a paradise that those of us of a certain age have populated with common, even if distinct, memories. The tiki bars of our younger days often included a soundtrack of Jimmy Buffet songs, and a kitschy decor of fishnets and buoys and mermaids and drinks with paper parasols. The paradise of the tiki bar is unrelated to anything historically accurate and more like an island nirvana straight out of the imagination. Our interest in researching and visiting utopian communities is directly linked to our volunteer gig at the Koreshan Unity Settlement in Estero, Florida. 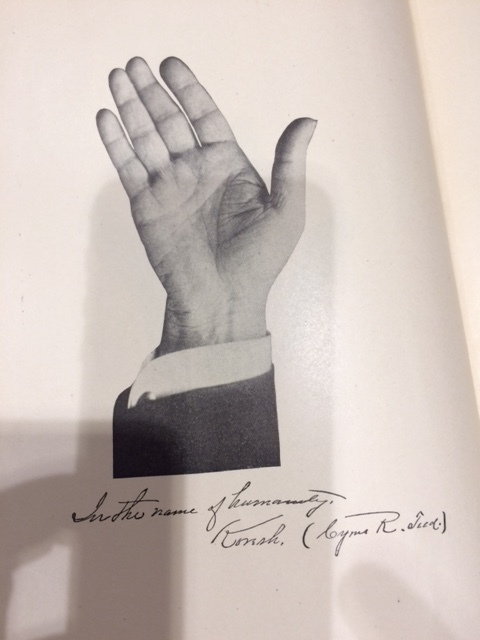 We learned that the founder of Koreshan, Cyrus Teed, was an admirer of the Shakers and in 1892 was recognized as a brother in full membership of the Mount Lebanon, New York Shaker community. The intersection of these two utopian communities then launched our itinerary for this summer. Shaker furniture exemplifies their spiritual ideals of simplicity and beauty. 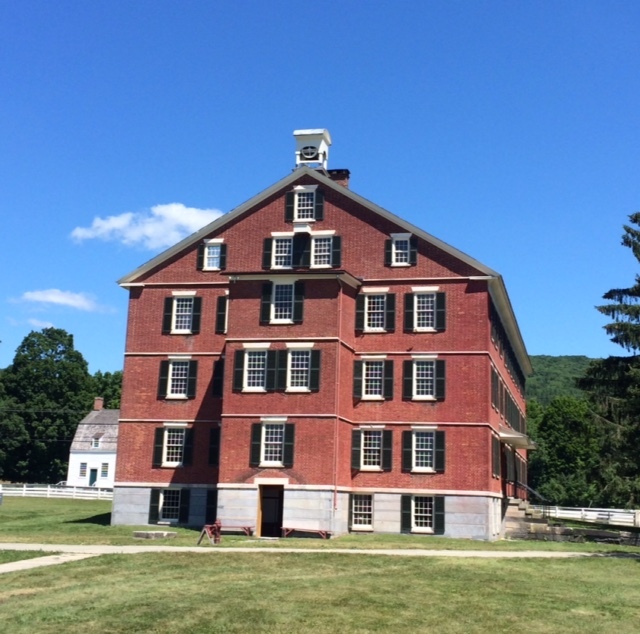 We began with a trio of visits to Shaker villages – first in Canterbury, NH then Hancock, MA and finally Mount Lebanon, NY – to learn more about the Shakers and their beliefs. The last surviving village (in Sabbathday, Maine) is the longest-lived utopian community in the United States, having been founded in 1783 and still in existence. There are currently two surviving Believers. The Shakers, a Protestant religious sect officially called The United Society of Believers in Christ’s Second Appearing, originated in Manchester, England in 1747. “Mother” Ann Lee, “Father” William Lee, “Father” James Whittaker and a small group of followers settled in 1776 at a site called Watervliet, now in the Town of Colonie outside of Albany, New York. The community they started grew through the 1800s to 18 relatively self-sufficient communities, The Shaker population peaked of approximately 4,500 members in the mid 1800s. The Round Barn was a model of efficiency for the Shakers. Cattle were fed from a central hay chute and cows entered the outside lower level. Part of the huge communal garden can be seen in the foreground. If you have any visual impression of the Shakers it may be of the exquisite, simple and beautifully crafted furniture (“hands to work, hearts to God” is their living prayer). Mine was the stunning round stone barn, the iconic image from Hancock Village. 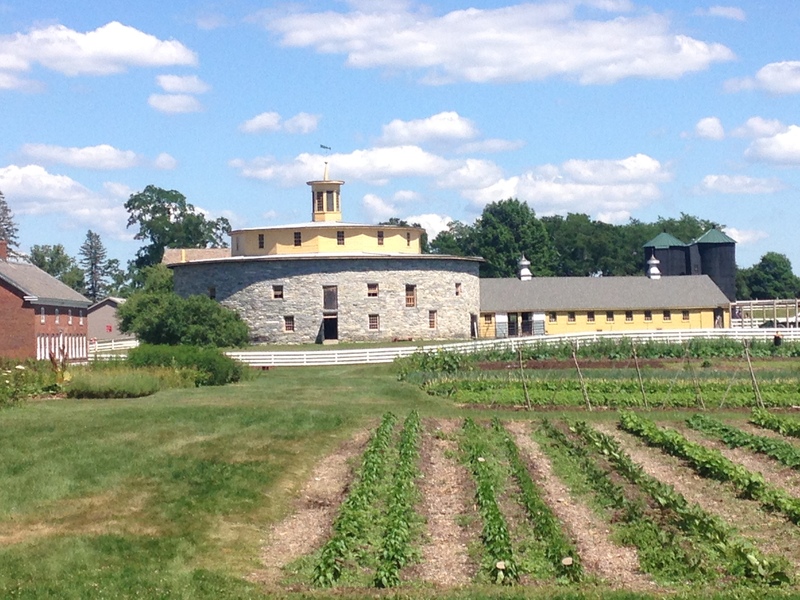 When we arrived at the Hancock Shaker Village, seeing the round stone barn, built in 1865, just overwhelmed me. It was one of those moments when you come face to face with something that has previously existed only in your imagination. In those moments, things can go one of two ways and for me, I witnessed the barn as more beautiful than my first memory of the barn which I first saw in the 1972 book, Observations on American Architecture, by the late Ivan Chermayeff. To be standing in that barn over four decades later was exquisite, seeing it all over again for the first time, to borrow from T. S. Eliot. Two of the three Shaker villages we visited had handsome brick dormitories where men and women lived on opposite sides, dined in separate sides, and entered and left the building from different doorways. Celibacy was a key theological component of their lives. 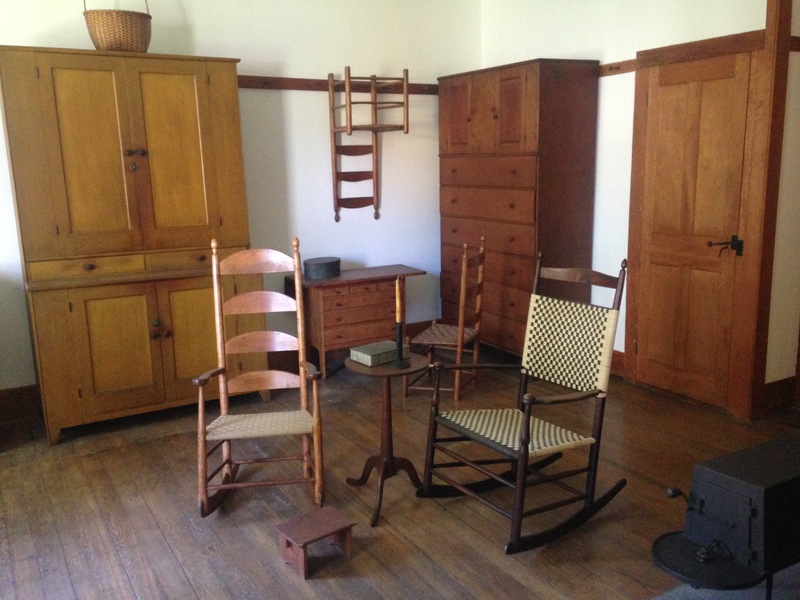 The pristine and stunning spareness of the Shaker villages reflected their adherence to simplicity and celibacy and equality for men and women which defined them as a community. How wondrous it would be to visit the surviving two Believers in Maine and hear their voices and bear witness to their lives in this day of incredible complexity. The visit to Hancock was richly embellished when we learned of a special dinner, with farm-to- table fare, to be held in the barn the following night. The fundraiser featured the author Chris Jennings, talking about his book on utopian communities, which I noted earlier. The evening was one long beautiful dream and we left with indelible memories of food, interesting conversations and two autographed copies of the book which is proving invaluable in our continued research. 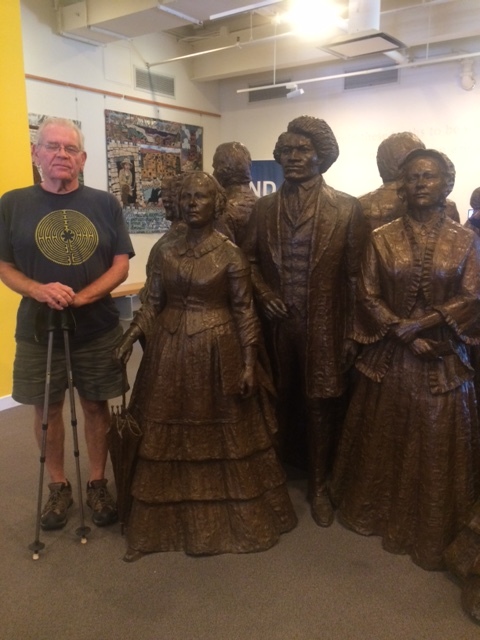 Peter with a life size bronze of some of the leaders of the Women’s Rights Convention including here, right, Lucretia Mott and Frederick Douglass. From here, we ventured to Seneca Falls, New York and the Women’s Rights National Historical Park which tells the story of the first Women’s Rights Convention held there in 1848. It is a story of struggles for civil rights, human rights, and equality – global struggles that continue today. The efforts of women’s rights leaders, abolitionists, and other 19th century reformers was directly linked to the rise of utopian communities in the 19th century, so this became an important stop on our trip. One of the most exciting of the stops included a three hour visit to Hamilton College and the Communal Societies Special Collections. Through our contact at Koreshan, we learned that the archives here at Hamilton College contain some unusual Koreshan materials and a stunning collection of the Koreshan publications, The Flaming Sword and The American Eagle, critically important in the understanding of the teachings of the Koreshans. We spent the afternoon at Hamilton College with Christian Goodwillie, the Director and Curator of Special Collections and Archives, who provided invaluable information and unconditional support for our peripatetic journey across the country visiting utopian communities. He made a few suggestion for other communities we should visit and we are deeply grateful. Upstate New York was a virtual Petri dish for the experiment of utopian communities in the mid-1800s. One of the most controversial was the Oneida Community founded in 1847 by John Humphrey Noyes. It lasted until 1881 and had nearly 300 members. Noyes believed he could create a perfect society based on his own interpretation of Christian theology by committing to sharing all labor and property and disbanding the conventions of marriage and nuclear families. Their open marriage and collective childrearing are familiar themes that re-emerged in the communal societies of the 1960s. 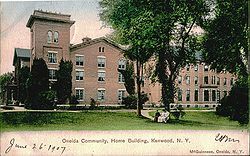 Antique postcard from the Oneida Community Main House from 1907. The Community had disbanded by then. Perhaps the most controversial of Noyes’ teachings was his experiment in eugenics in which a committee of elders determined the spiritual credentials of the potential father and mother and determined who could “breed”. There were 4 dozen children born from these matings. The children were raised by their mothers until the age of 9 months and then put in a communal nursery. It turns out that Noyes himself was the father of about 20% of the children. When the word got out about these more controversial practices, Noyes was run out of town, fled to Canada and the community dwindled. The group dissolved in 1879 and in 1880 they voted to reorganized as shareholders in the profitable organization, Oneida Silver and other business. As the author Chris Jennings notes, “The future is a strange land. Picturing it, however imperfectly, requires a strange mind”. 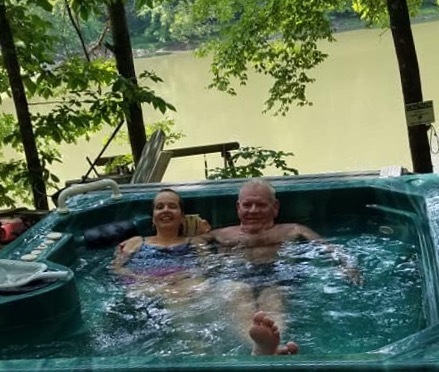 Until Part 2 of our trip to utopian communities, time for a dip in the hot tub on the deck at the tiki bar. Peace, everyone. Peter and Liz continue their visits to utopian communities in their Airstream, next to the three locations of the Rappites the first two in Pennsylvania, then Indiana. This entry was posted in Uncategorized and tagged Airstream, Hamilton College Special Collections, Koreshan Unity Settlement, Paradise Now, women's rights national historical park by lizbrown489. Bookmark the permalink. We bumped into you guys at Falling waters in Chipley, FL. We also have an airstream and I remember that my husband, Dave, interrupted your husband while doing his morning workout! I love the idea of visiting Utopian Communities. Great photos and: aaahhhh, the memories of the tiki bar ! I enjoy following your adventures and insights. Thank you for continuing to share.